Engage presents a range of fresh and irresistible fragrances that keep the chemistry between him and her sizzling for 24 hours. 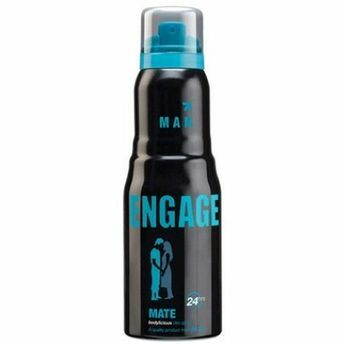 Engage Mate is a timeless masculine fragrance. The fragrance has been kept true to its modern character with a zesty fresh masculine heart that boldly combines elements of cologne with strong floralcy. It expresses a man's refined elegance and natural simplicity.